Obuh Christopher Nelson is a Nigerian Photographer born in Delta state Nigeria in 1988. After reading a July 2007 issue of Vanity Fair magazine in 2013 which focused on Africa, he decided to study photography. In 2014, he attended the LagosPhoto summer school and was tutored by renowned photographers like Uche Okpa Iroha, Andrew Esiebo, Eva Maria Ocherbauer. His works focuses on social political issues and has been influenced by Ed Kashi, Andrew Esiebo, John Stanmayer, Paulo Patrizi, Gideon Mendel to mention a few. 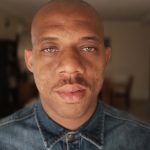 His works has been exhibited at the Lagos Biennial, International Photo Festival Leiden, Gwanza Month of Photography, to mention a few.